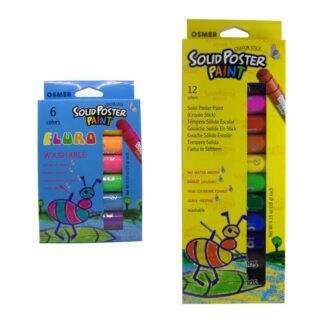 18 Osmer super smooth fine oil gel ink pens. 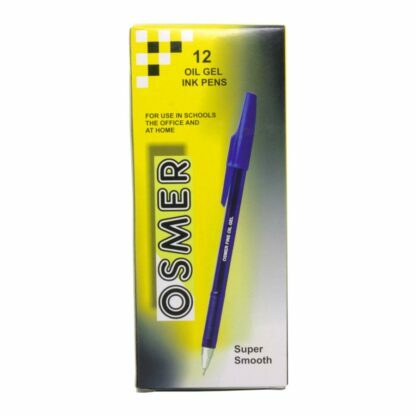 Very smooth to write with. 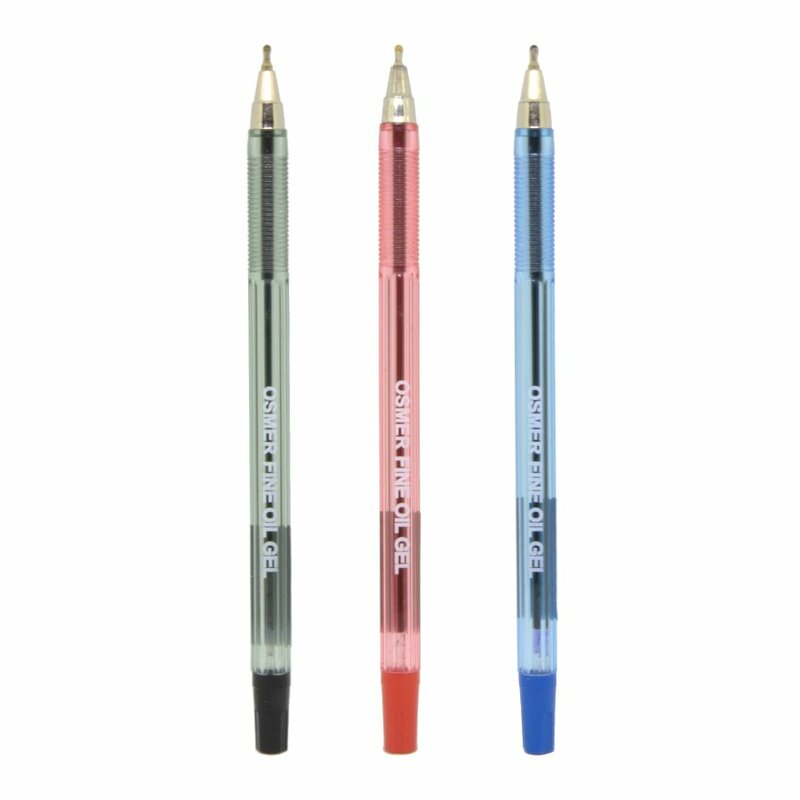 Available in black, blue and red, or a mix of the 3 colours. 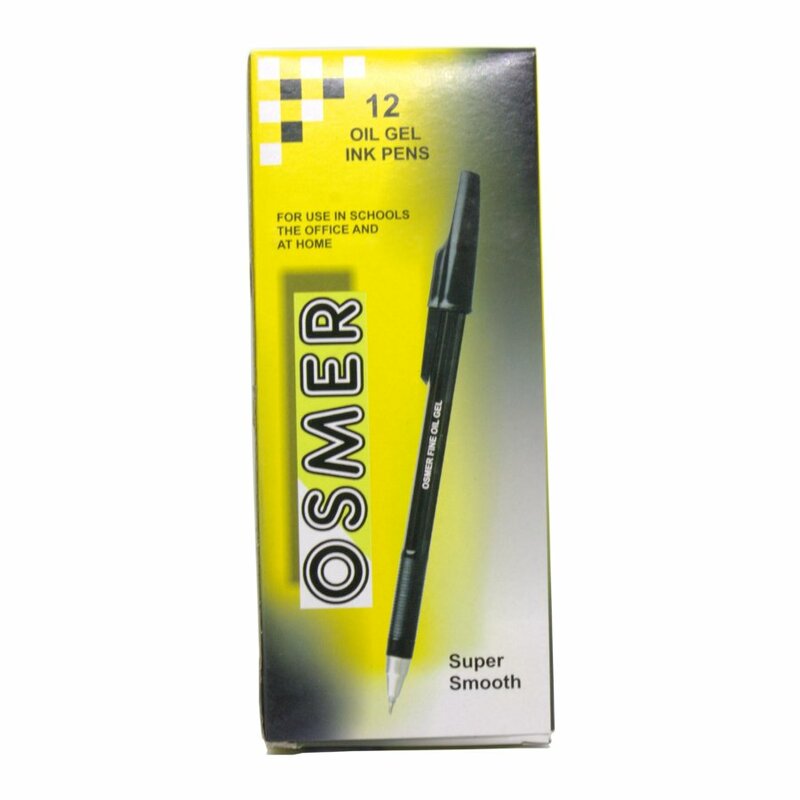 Oil Gel ink formula, allows for super smooth, clean and clear writing. 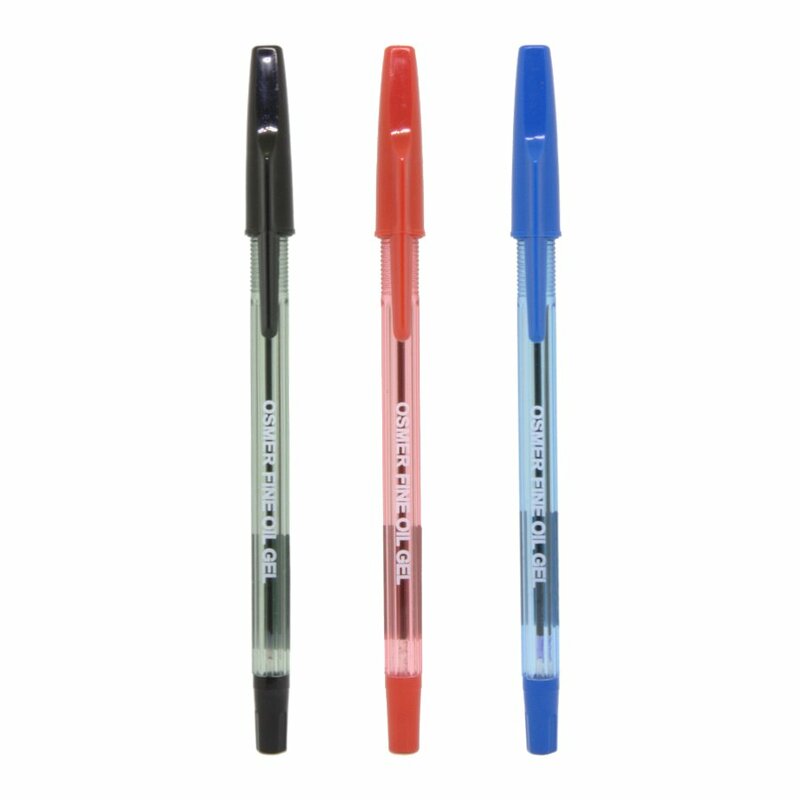 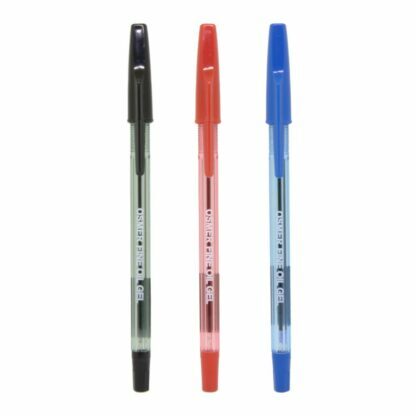 Better flowing ink and smoother writing than a standard ballpoint, but dries quickly and is less likely to blot or smudge than a rollerball. Great for lefties (no more ink smeared over the bottom of your hand). 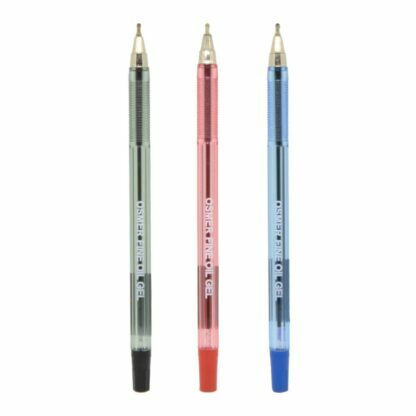 Draws vibrant, clean and precise lines. 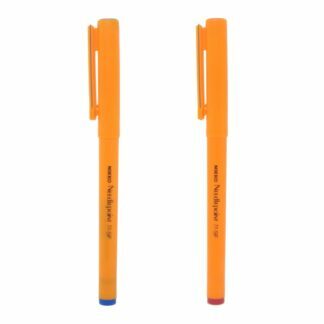 Perfect for note-taking, document review/marking, journal writing, signatures, artwork or even just good old margin doodling. A quality pen for all general home, office, school or even art & craft use. 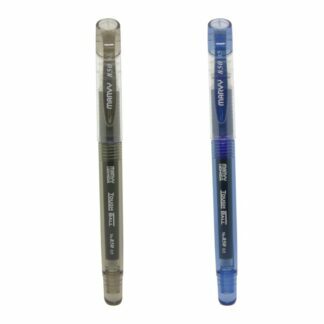 Please note: These pens have a clear stopper on the pen nib, which needs to be removed before first time use.